Whether you have 20 rental accounts or 20,000 the NCompass Rentals module is ready to help you. The fully integrated Service module provides a highly flexible solution to the needs of a business with a service department. In keeping with the rest of the system, the Service module offers the opportunity to either complement or replace your existing system. NCompass Advanced Retail is a powerful software package that transforms a standard computer into an easy-to-use system to help you run all aspects of your business. NCompass has been especially designed for electrical retailers of any size, and is available in different editions to suit the needs and budgets of the smallest independent retailer or service business, through to the high demands of large multiple chains and ecommerce businesses. This flexibility is reflected in the features, ease-of-use and pricing of the system, and allows any business to purchase a system which will grow and adapt to their changing requirements. The system will keep track of your stock and customers, and link this information through to other facilities; the Sales system generates and tracks invoices, and produces End-of-Day reports ready for cashing up. Of course, complete Electronic Point of Sale is available, and the simple addition of till hardware allows NCompass to replace your till and credit card terminal. Why do I need a new computer system? Every business is different, and the benefits of a computer system will vary from business to business. Whether you are using a manual, paper-based system or an old software package, there are many advantages of purchasing a system that has been specially designed for the purpose. 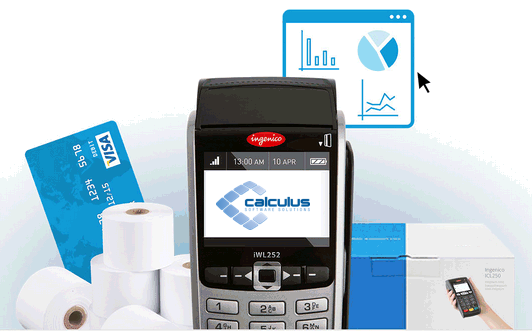 Our optional chip & pin solution integrates directly with the rest of the system, to provide a complete solution in a single package. The solution is also available as a stand-alone package for locations where EPOS is not required, and in both wireless and mobile terminals, suitable for movement about the shop, or even for carrying out authorisations in your delivery van! When processing a transaction in NCompass, the system will automatically transfer the correct payment amount to the card processing system. On-screen prompts guide you through the process, while the PIN pad prompts the customer as necessary. NCompass Express is a one-stop solution, including everything you need to computerise your business. The package is available in a simple, affordable rental package, including hardware and software support, and upgrades to NCompass as they are released. What’s more, should you decide to upgrade to NCompass Standard, Professional or Enterprise, special upgrade paths are available. The Professional Edition of NCompass adds a range of powerful extra functionality to the standard system. These features are only available in this enhanced version of software for those businesses which require additional computer-based control of their business. The modules listed below are only available with the Professional and Enterprise editions of NCompass. Building on the features added by NCompass Professional, the Enterprise Edition adds further integration between NCompass and other systems, and opens up further optional expansion routes for your system. This streamlining gives you even greater efficiency and cost-saving potential from your new system. Some of these features are optional extras to the Enterprise edition. NCompass has given me more time with my customers, and almost eliminated tiresome paperwork. 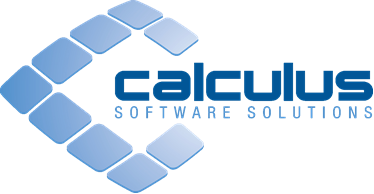 We will recommend Calculus to any independent electrical retailer. NCompass Advanced Retail is brilliant. Digital switch-over went like a dream, thanks in no small way to the efficiency and flexibility of NCompass Advanced Retail. Within minutes of looking at NCompass Advanced Retail, I realised how much things had moved on. With NCompass you can update stock and pricing data to multiple platforms and even schedule deliveries with couriers. Giving you more time to focus on your customers... Here are a few of our integrations! NCompass allows you to directly link your stocked products to the Amazon Marketplace and automatically receive orders from Amazon, ready to be processed and invoiced. Our eBay Standard integration allow you to create a listing using the eBay web-site, then keep the stock levels and pricing on eBay up-to-date via NCompass Advanced Retail. Orders are automatically downloaded into NCompass as they are received, which updates your stock levels in-store and on any other linked web-sites so you never over sell. Create, track and produce labels for your shipments with ease from within NCompass whilst utilizing a variety of DPD Service Levels such as 24 hour and 48 hour deliveries.